Riomaggiore, southernmost village in Italia’s Cinque Terre, is a magical place worthy of spending a few quiet days. The town sits on the edge of the rugged coast in a part of Italy known as the Italian Riveria. 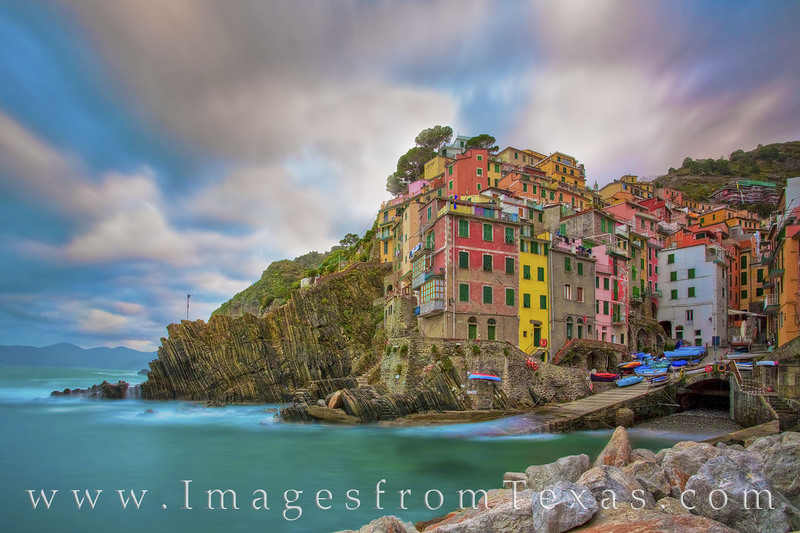 It actually resides in Cinque Terre National Park, and coastline, villages, and surrounding rocky slopes constitute a UNESCO World Heritage Site. The history of the area dates back to the 11th century, when the towns sprang up under the rule of the Republic of Geneoa to oppose the Turkish attacks.